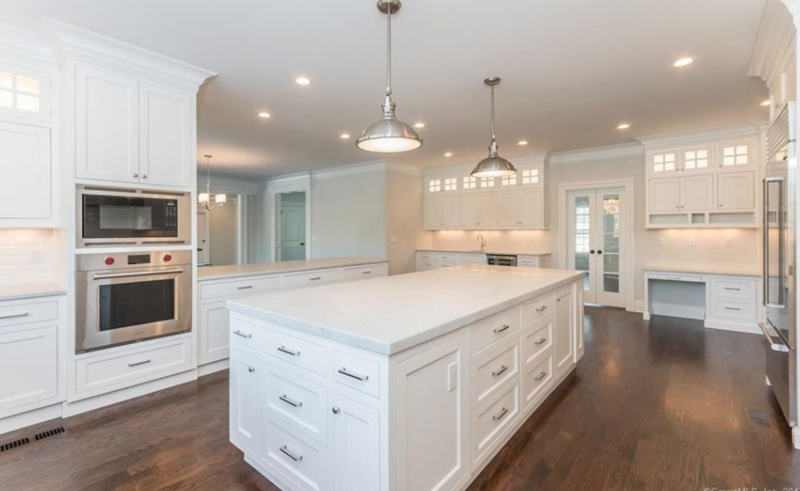 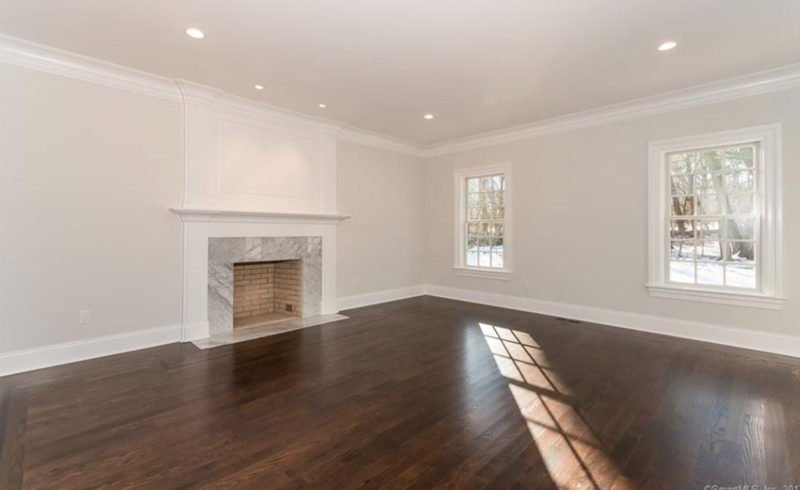 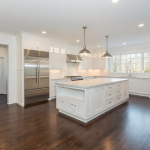 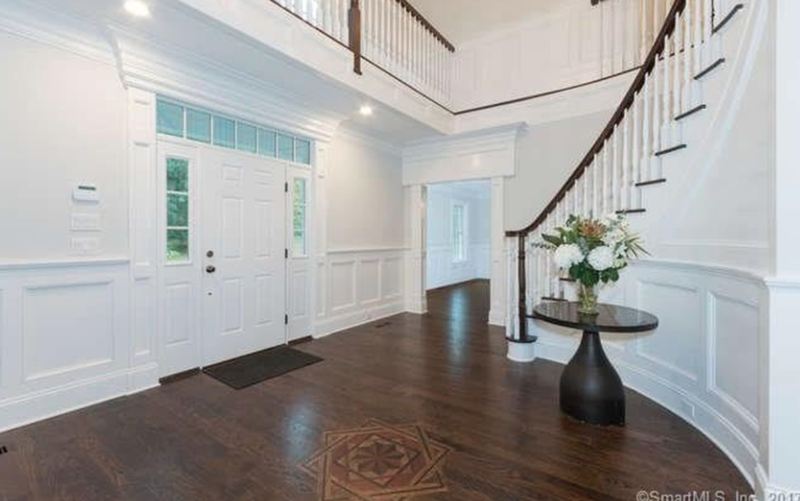 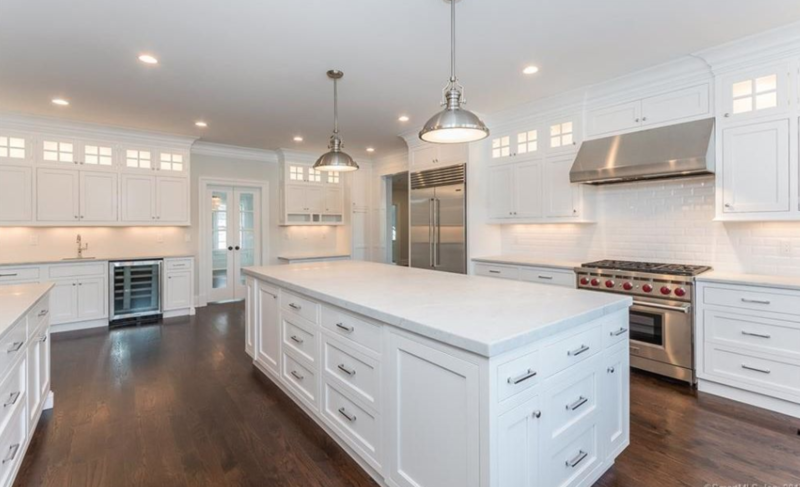 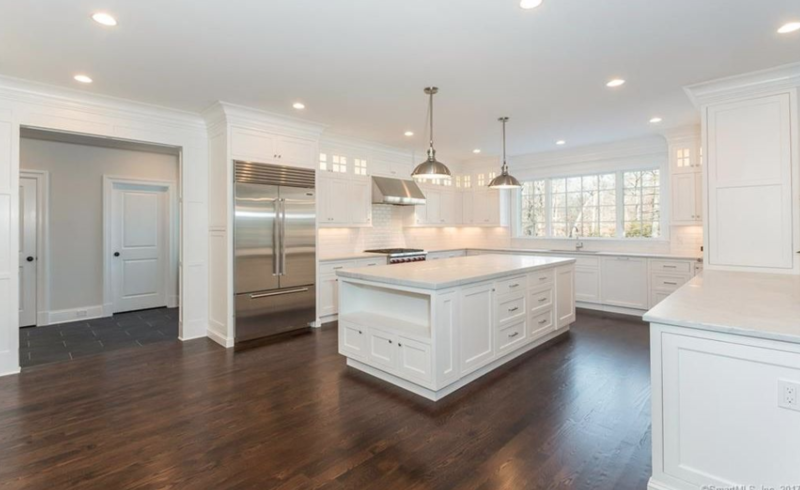 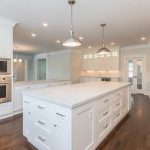 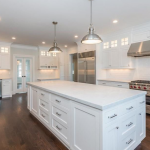 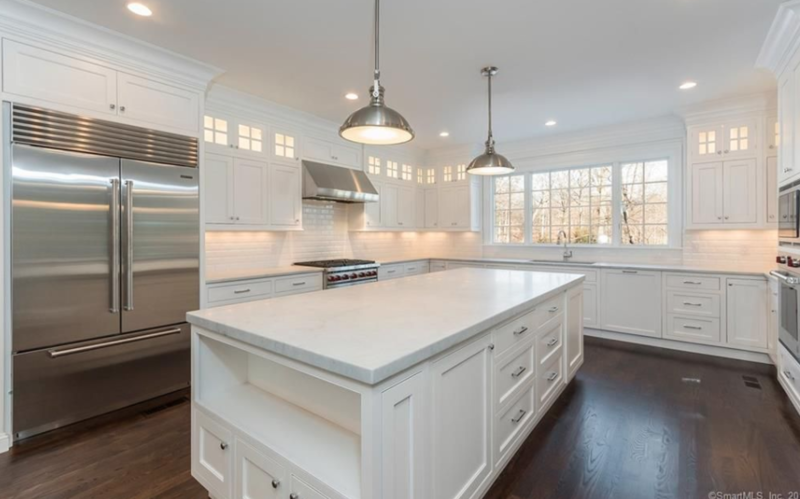 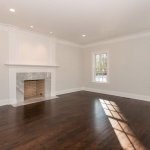 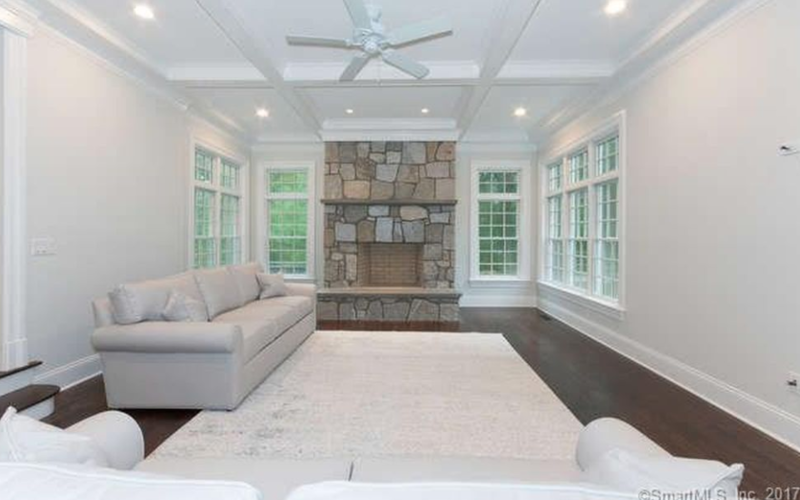 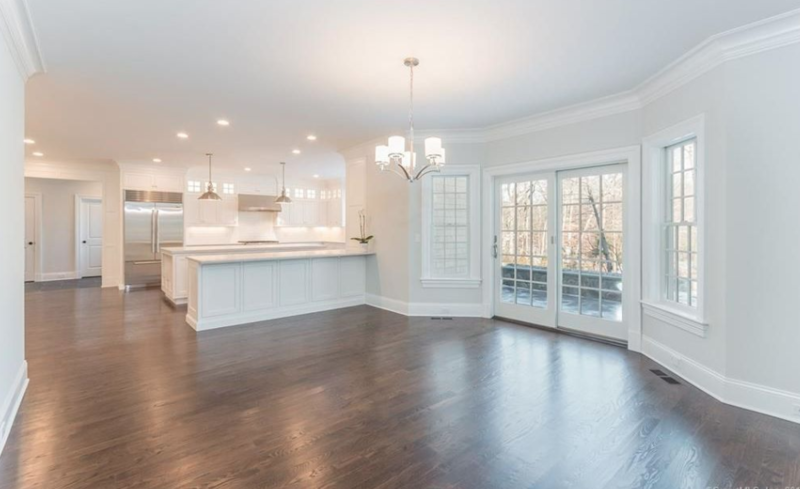 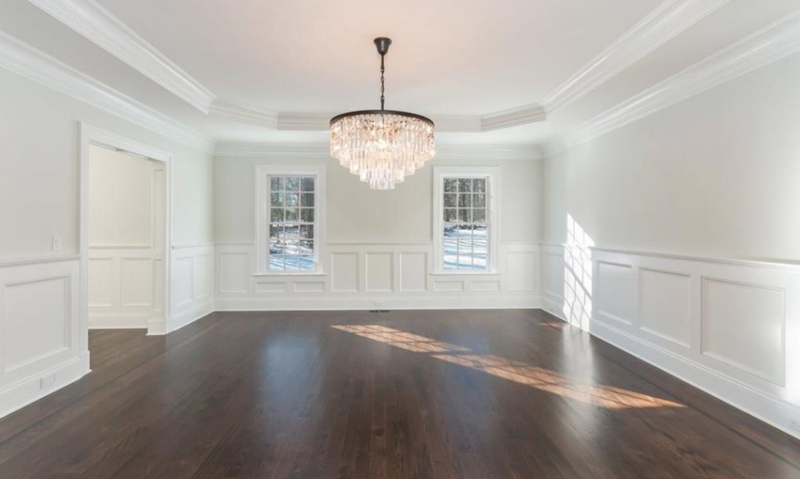 This newly built Colonial style home is located at 108 Charter Oak Drive in New Canaan, Connecticut and is situated on 1.8 acres of land. 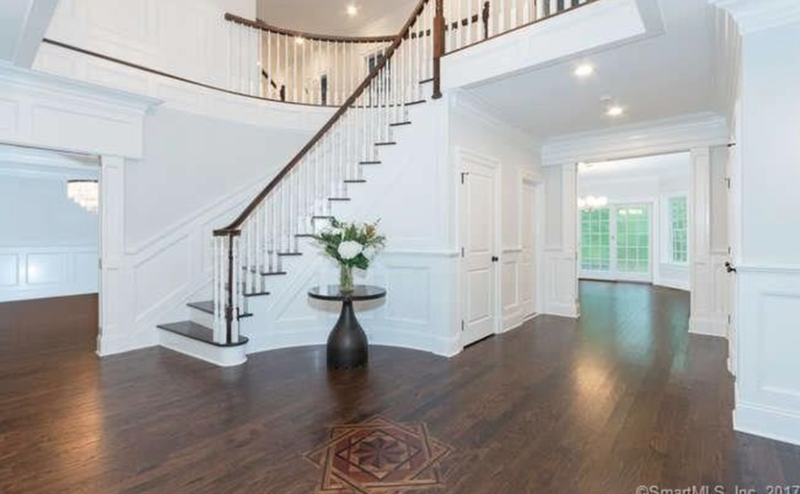 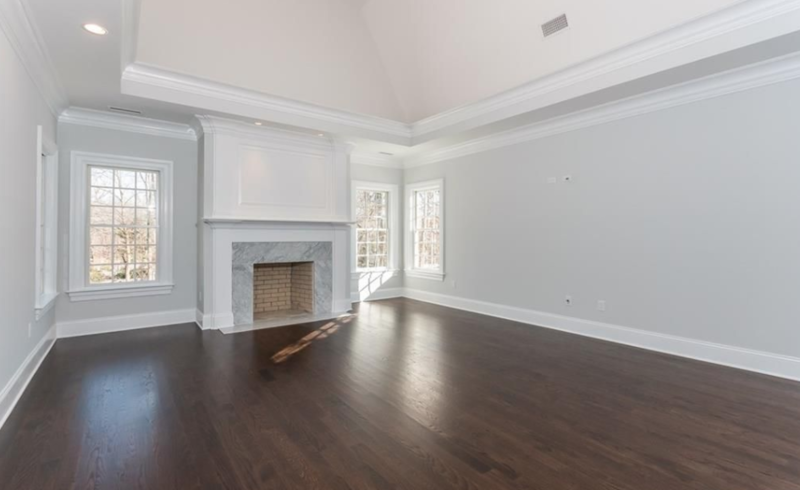 It features approximately 9,236 square feet of living space with 5 bedrooms, 5 full and 3 half bathrooms, 2-story foyer with staircase, formal living & dining rooms, gourmet kitchen, breakfast room, family room, home office/library, 3-car garage and more. 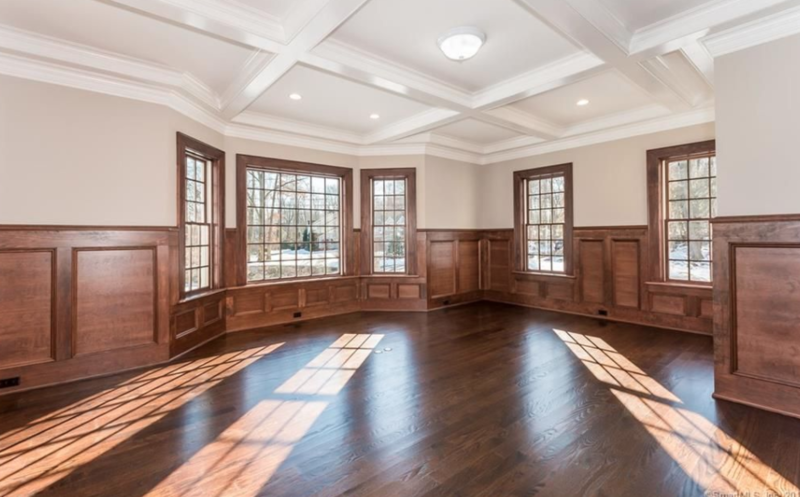 It is listed at $3,100,000.